Divisional organizational chart marks off the organizational structure according to the specific demands of products, markets or customers in their specific business environment. 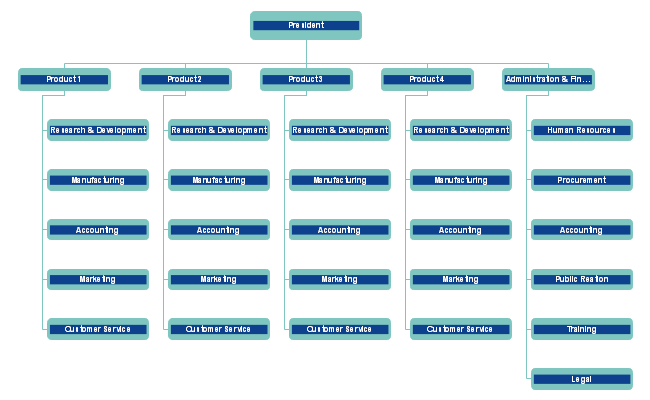 You can divide the organizational chart by product line, geographic area or marketing area. Each division often has all the necessary resources and functions within it to satisfy the demands based on the working of an organization. Employees with similar skills are placed in different divisions. 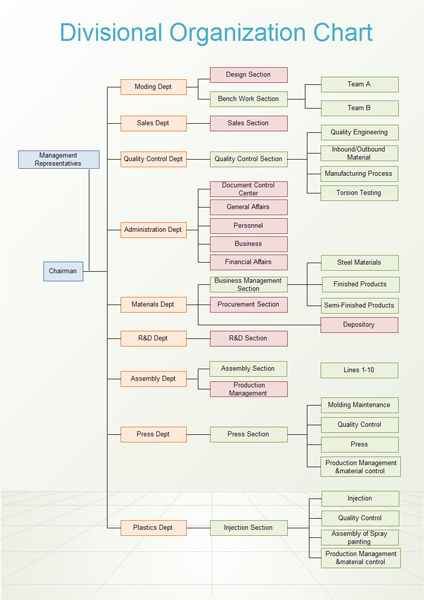 Here is a product line divisional organizational chart which sets each product line as a branch. Product line permits the maximum use of personal skills and specialized knowledge, so it is an essential basis for departmentalizing and work division. Click here to free download Org Chart Software. Then you can use the built-in organizational chart templates to present your Divisional Organizational Charts in a short time. 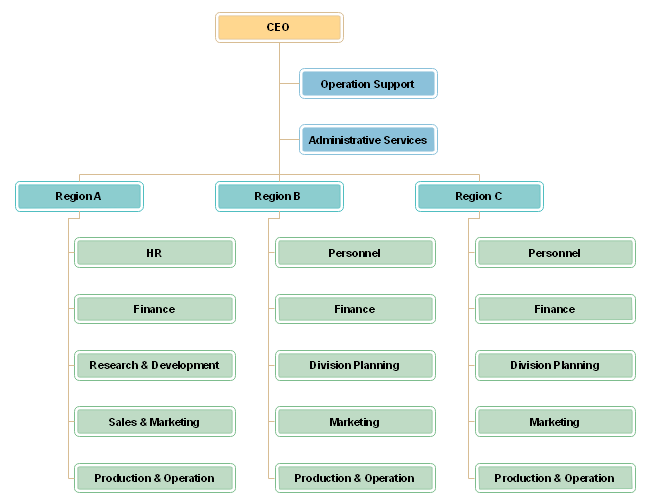 An example of right divisional organizational chart, showing work division in a small business company. From the chart, you can tell who is responsible for which division at a glance. According to your preference, you can also replace all boxes with other styles such as ellipse and round rectangle. For organizations that cover a span of geographic regions, it sometimes makes sense to organize by region. The structure below, a geographic divisional organizational chart, is organized by geographic regions that report up to a central oversight person.